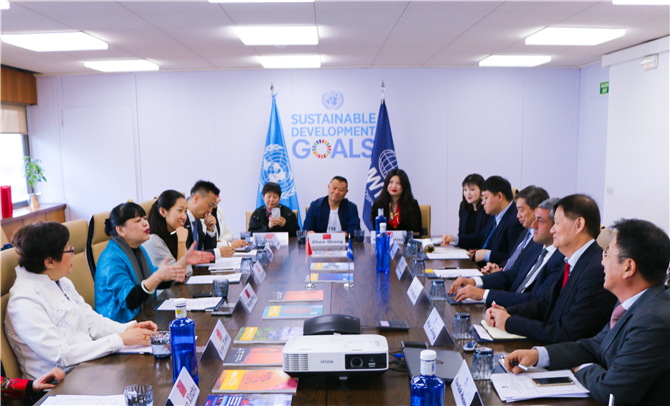 Two national parks of China’s Pu'er Sun River in Yunnan and Argentina's Iguazu reached an initial agreement on forging a sister-park partnership at the World Tourism Council (WTTC) 2019 Global Summit, which was held from April 3 to 4 in Seville, Spain. The two sides said that they will strengthen cooperation and exchanges to let tourists from the two countries know more about the Sun River and the Iguazu. They hoped to sign a cooperative agreement at the World Tourism Economy Forum to be held in October this year. Known as "the largest oasis on the Tropic of Cancer" and "China's treasure trove in biodiversity, the Sun-River National Park in southwest Yunnan is home to 2,104 species of higher plants, 265 wild bacteria, 892 medicinal herbs, 812 wild animals and 396 insects. The Iguazu National Park is located near Puerto Iguazú, Province of Misiones, in Argentina. It has an extension of 67,720 hectares within the Paranaense Forest ecoregion, and it’s one of the most incredible places to visit in South America. Iguazu Falls is the beautiful center piece of Iguazu National Park. Reporting by Wang Huan and Li Li (Yunnan Daily); Photos provided by Yunnan Mekong Co., Ltd.